Waymo, the recently-unveiled name for Google’s self-driving program, has reportedly planned to launch a ride-hailing service with Fiat Chrysler as early as this year, and a new patent that could connect driverless cars to people who would like to use one suggests it’s serious about developing an autonomous ride-sharing network. The purpose of the patent, which was quietly noticed earlier this month, by the website PatentYogi, is to provide autonomous vehicles with the tools to efficiently pickup and drop off passengers. The idea would be to allow self-driving cars to find the best pickup location for a passenger by providing a list of suggested locations the autonomous vehicle can access with ease. The suggested locations would be provided through a centralized dispatching system, which PatentYogi suggests could be achieved from providing data from Google Maps. The patent highlights the myriad issues that may be presented by autonomous vehicles that are familiar: construction, emergency service activity, speed limits — all of this could prevent an autonomous vehicle from driving everywhere “a human driven vehicle can,” as the patent puts it. To address this, when provided with a location, the centralized dispatching system may provide a set of one or more suggested locations corresponding to locations that an autonomous vehicle can pick up a passenger (pickup location) or locations where the vehicle can wait for an additional passenger, stop and wait for a passenger to perform some task and return to the vehicle, or for the vehicle to drop off a passenger (destination location). Uber currently offers a similar feature, but the possibility of Waymo launching a ride-hailing service of its own this year sets up a potential head-to-head battle of the Silicon Valley giants. 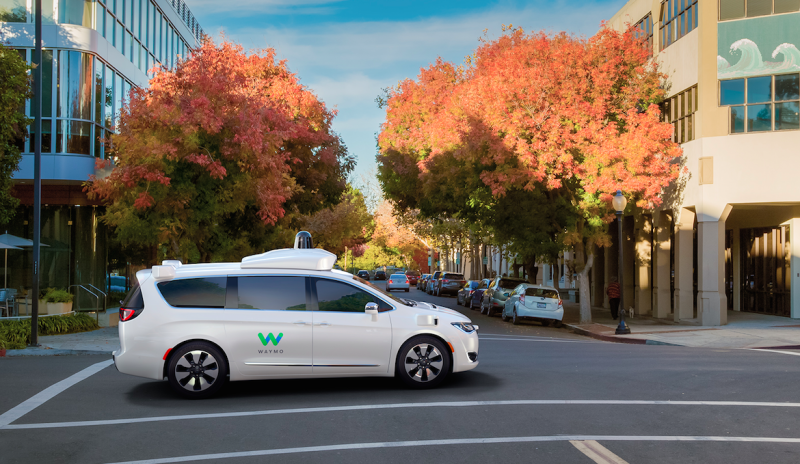 Waymo has recently said it’s found a way to drastically cut costs of a critical sensor in making autonomous vehicles viable, and the company last month unveiled plans to develop 100 Chrysler Pacificas that would come equipped with Google’s electronics. Uber’s self-driving venture in 2016, meanwhile, rolled out with a lukewarm launch. The company refused to pay a $150 permit to operate its small autonomous fleet for a pilot program in San Francisco, before the California DMV eventually nixed the entire effort. In response, Uber packed the vehicles up and shipped them to Arizona, whose governor is earnestly welcoming the company with open arms. The patent was filed in June 2015, and the application was published late last month. Bloomberg cited anonymous sources last month who said that (obviously) more than 100 Pacificas would be needed to make a Waymo self-driving unit a reality. But CEO John Krafcik has said he envisions the technology being used to benefit a service along those lines. “We can see our technology being useful in personal vehicles, ridesharing, logistics, or solving last mile problems for public transport,” he wrote last month on Medium.